A scuba diving training program is changing lives for people with disabilities who are swapping wheelchairs for water. Mark is one of the board members of Disabled Divers International (DDI), a non profit organisation that conducts disabled scuba diving training programs for professional and nonprofessional students. 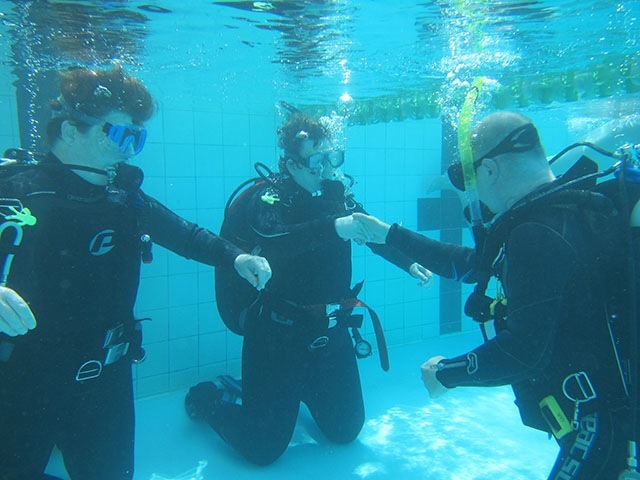 So far he’s taught 200 instructors around the world how to teach disabled learners to dive. 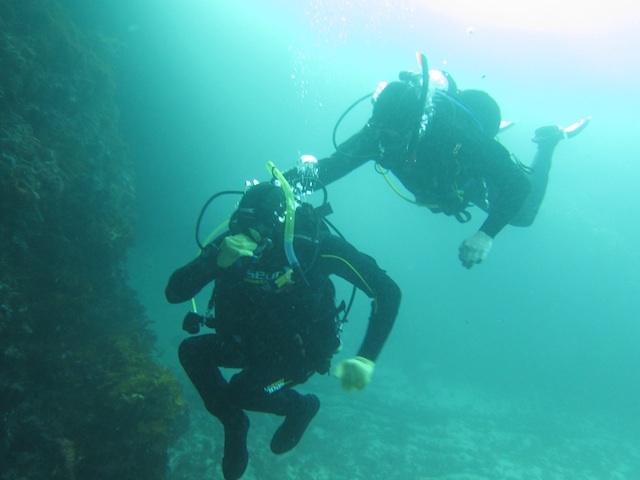 Awareness of the positive health and social benefits of diving has increased dramatically over the last 20 years with both the US and UK military adopting it as a part of their rehabilitation program with disabled veterans and people who’ve been in combat. ‘There’s a real interest from dive professionals wanting to run these sorts of programs. And because Australia is one of the best diving places on earth Aussie dive teachers are very keen,’ Mark says. In 2015 Ash undertook the first DDI Instructor Training course in Australia with Mark Slingo. It was a great experience, Ash said, but the real learning was in running his first class. Held over three days, with one day in a pool and two days in the open water, the class attracted six students. Cassandra (R) celebrating after the dive at Rockingham beach. Cassandra Burrell grew up spending a lot of time at the beach and always wanted to be a marine biologist. But a mitochondrial disease means that since age 7 Cassandra’s been in a wheelchair. Not that that’s stopped her enjoying sport. She’s an active member of the WA Wheelchair Sports Association and has enjoyed competing in boccia, swimming and field events. She now does archery and scuba diving. 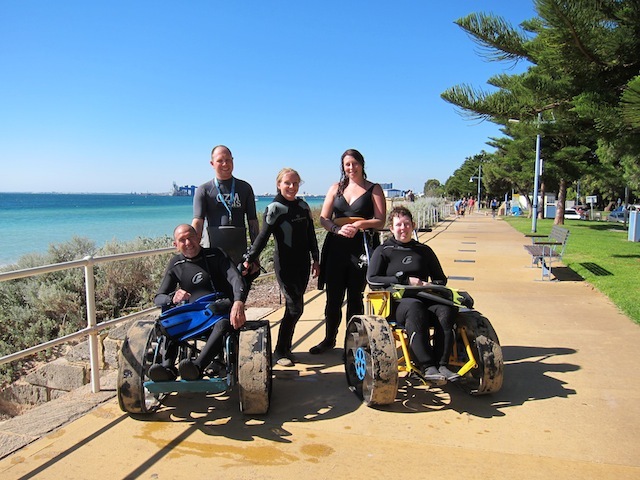 She’d always wanted to try scuba diving and recent developments in accessible equipment and training courses have made it a much more inclusive sport. She’s done another three dives since then and each one gets easier, with less to worry about as she develops confidence. Next up Cassandra would love to explore further afield, diving at Rottnest Island, or doing some night dives. And hopefully seeing some sharks in their natural environment.